I wish I were talking about snowflakes, but I'm not. And, I can be a bit on the dingy side, but I'm not talking about flaking out that way either. I'm talking about super dry skin. Yuck! I suffer from this every year. Pretty much year round. But, it definitely gets worse in the winter. And this winter has been no exception especially with regard to my head. My scalp has been more gross this winter than it ever has before, and I've been trying some home remedies that I thought I might share with you. Before Christmas my scalp got really bad. 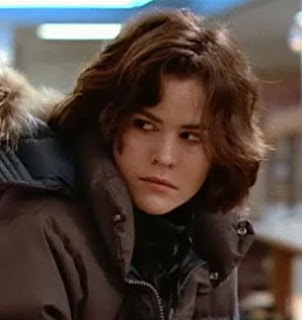 I couldn't scratch my head without looking like Ally Sheedy in The Breakfast Club! It was disgusting. So, I did some research online and found out that most regular shampoos and conditioners contain sulfates that can really dry your skin out. (Sulfates are the stuff that makes your shampoo foam up when you scrub.) I read some reviews of a product at Sally's that I wanted to try out called Hair One and it doesn't contain sulfates. It is a shampoo and conditioner in one, but you can use an additional conditioner if needed. Which I do. This stuff helped a lot. It's a hair treatment with every wash, which I only do this a few times each week, so you have to make sure you keep a little extra time open to let it soak, but I am not going back to standard sulfate shampoos. Unfortunately though, this wasn't quite enough. So my research continued and I found out that Apple Cider Vinegar (as well as the white variety) is great for your hair and scalp. It restores the PH balance that shampooing, coloring and using products can mess up. So, a couple of times each week I've been spritzing my scalp with pure Apple Cider Vinegar, and letting it soak for 15 minutes up to an hour before washing. It makes such a difference! Granted, I smell like a pickle factory until I wash my hair, but the difference in my scalp and hair is amazing. My scalp feels healthy, isn't itchy or flaky for a couple of days, and my hair is healthier condition than before. 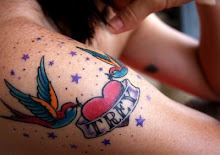 Which is great considering I color it every six to eight weeks. Another great home remedy from Craftaholics Anonymous (another blog you will hear more about from me very soon!) is this recommendation on naturally exfoliating your skin. Check it out and scroll through her blog. She's an amazing crafter!